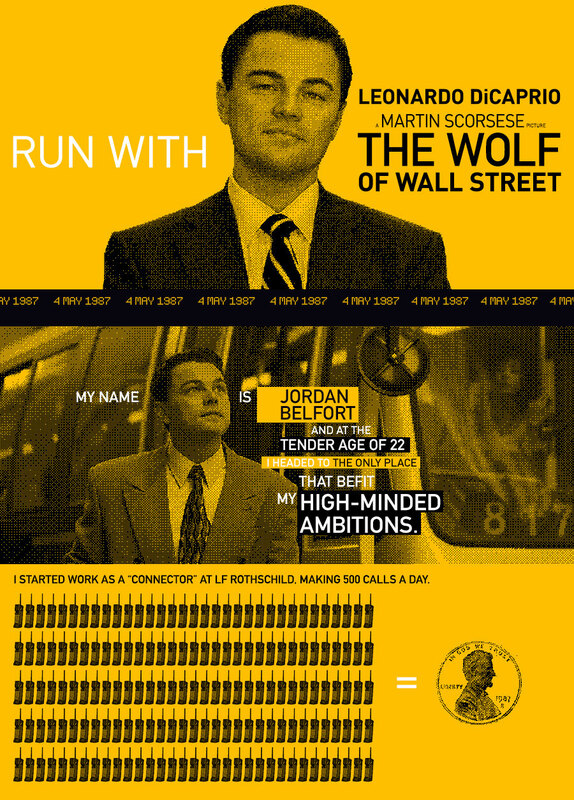 January 18, 2014 0 comments on "Run with the Wolf of Wall Street"
The Wolf of Wall is a 2013 biopic with Leonardo DiCaprio playing the role of Jordan Belfort, a New York stockbroker that runs company engaging in securities fraud and corrupt activities on Wall Street. It has been directed by legendary director Martin Scorsese. The Wolf of Wall Street is currently nominated for 5 Academy Awards that include Best Picture, Best Actor for Leonardo DiCaprio, Best Supporting Actor for Jonah Hill and Best Director for Scorsese. It was released on December 25th, 2013 with Leonardo DiCaprio putting in an all time legendary acting performance in this movie. The infographic is by Tom Muller for Universal Pictures International.